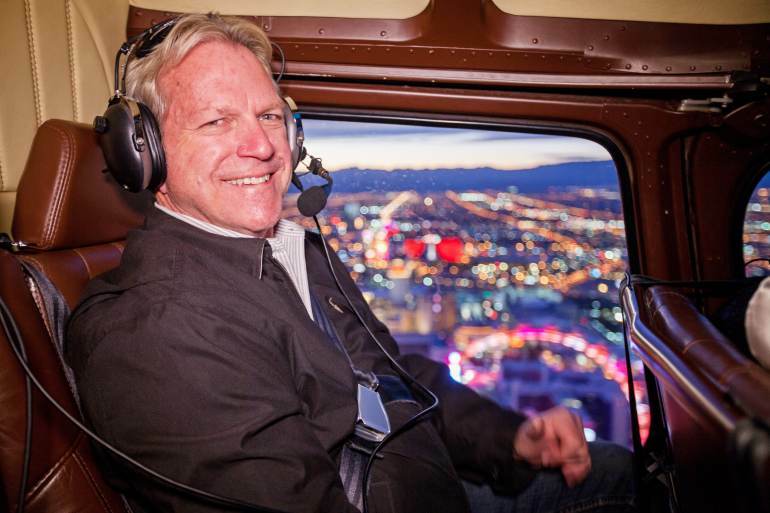 There, you'll get a bird's eye view of the Stratosphere, the Bellagio and its famous fountain, Caesars Palace, the Mirage, the Wynn, the Venetian, City Center, the MGM Grand and the Luxor space beam! 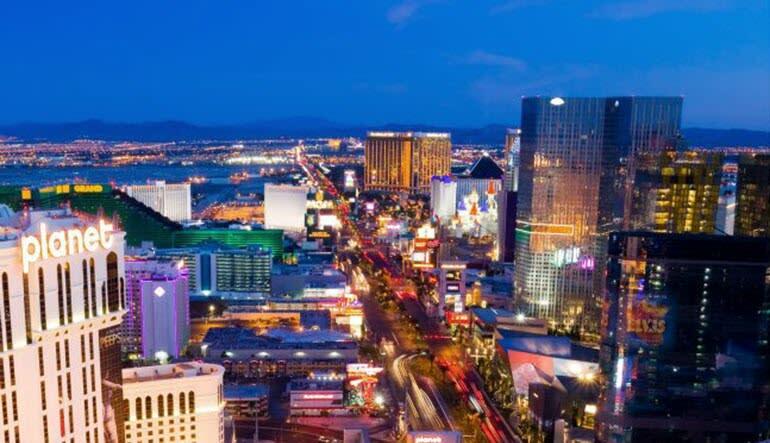 Travel the strip in style, high atop the famed landmarks and neon lights. 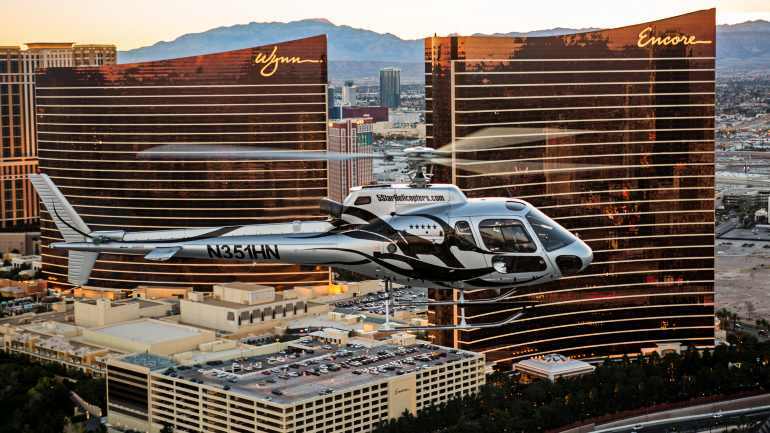 With this VIP helicopter ride, you'll get a bird's-eye view of the Stratosphere, the Bellagio and its famous fountain, Caesars Palace, the Mirage, the Wynn, the Venetian, City Center, the MGM Grand and the Luxor space beam! This luxury helicopter is made for sightseeing with its forward-facing seats and 180-degree panoramic views. Your 20-mile flight takes you everywhere. From your hotel, you’re driven in a luxury Benz to the nearby launch site. Then, you’ll take to the electric night sky and hover past historic downtown Vegas before making your way to the Strip. There is only one way to see the Strip light up at night. Don’t walk down the busy streets peering up. 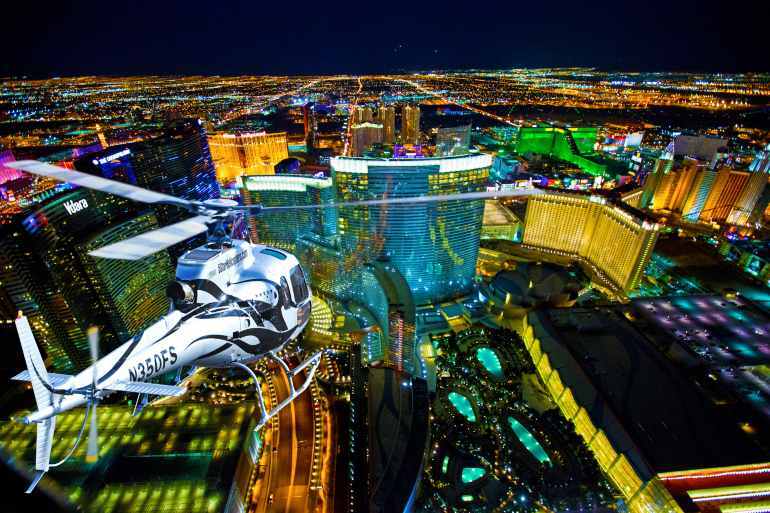 Jump in a helicopter and soar over world-famous Las Vegas. MY SON ABSOLUTELY LOVED IT& HE RAVED ABOUT IT TO ME. THANKS. This was my wife's first ride in a helicopter and she was ecstatic with the entire process. It was a fantastic time. Will be doing the Grand Canyon tour next year. Maximum passenger weight is 275lbs.